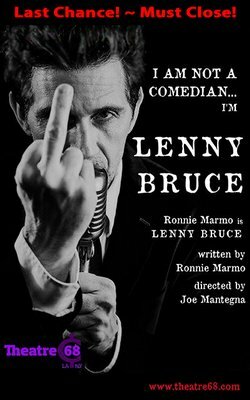 I AM NOT A COMEDIAN...I'M LENNY BRUCE is a One Man Show chronicling the life and death of the most controversial comedian of all time... Lenny Bruce. Busted for obscenity, Lenny fought for freedom of speech all the way to the Supreme Court. He accidentally died of an overdose in 1966, while out on appeal.